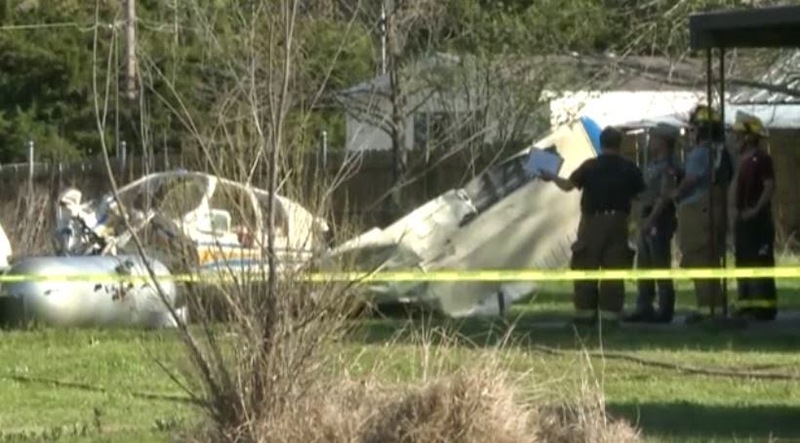 On March 29, 2015, about 1600 central daylight time, a Beech 35 single-engine airplane, N80462, impacted terrain, after departing the Cedar Mills Airport (3T0), Gordonville, Texas. 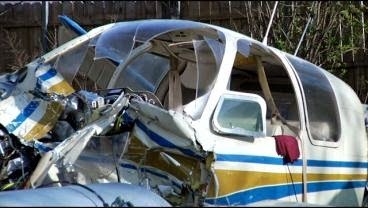 The pilot and one passenger were seriously injured, and two passengers received minor injuries. The airplane sustained substantial damage. The airplane was registered to and operated by a private individual. Day visual meteorological conditions prevailed at the time of the accident and a flight plan had not been filed for the 14 Code of Federal Regulations Part 91 personal cross-country flight which was destined for the Tyler Pounds Regional Airport (TYR), Tyler, Texas. The pilot reported that he performed a soft field takeoff from the turf runway, and the airplane lifted off at an indicated airspeed of 80 mph. As the airplane neared the departure end of the runway, the pilot noticed the airplane was not climbing as expected, the indicated airspeed seemed unreliable, and the controls felt mushy and near stall speed. The airplane impacted trees and the roof of an unoccupied home. 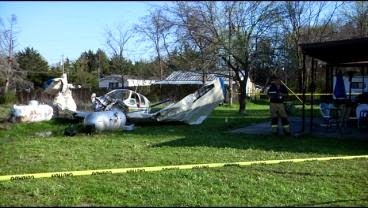 The airplane then impacted terrain, about 50 ft from the house and came to rest upright after impacting two propane storage tanks. There was no release of propane and there was no postimpact fire at the main wreckage. Two witnesses observed the airplane depart from the runway. They stated that the airplane traveled quite a distance, or halfway down the runway before it became airborne. They added the right wing dropped, with one witness stating that he thought the airplane, "was going to crash right there". 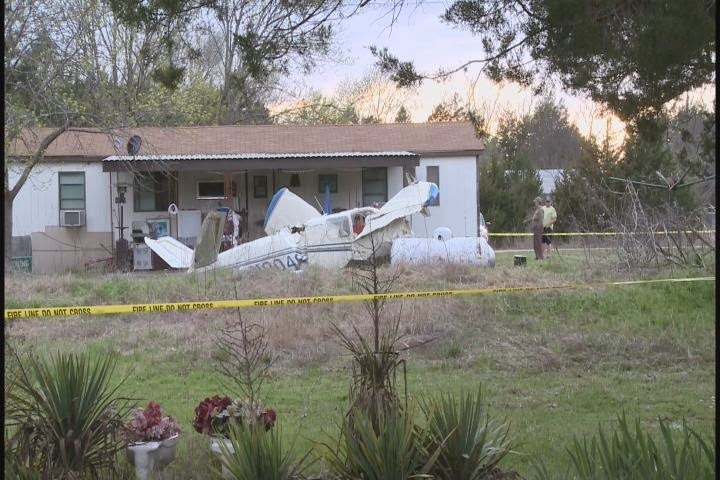 The witness stated he didn't think the engine speed was right and the airplane was slowly gaining altitude. The other witness reported that the airplane wasn't gaining any altitude and the engine sounded "strong" and did not cut out. 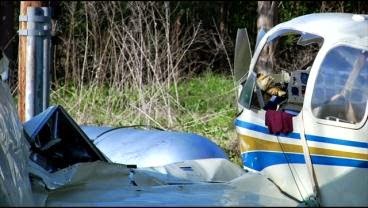 In a post-accident interview, the pilot stated that that it took longer than expected to get airborne because the ground was soft, but the engine was developing full power. Adding that he thought that a gust of wind hit the airplane, causing the right wing to dip and lose airspeed. He added that the windsock showed light and variable winds. The runway was lined with thick trees on both sides. He added that he considered doing a downhill takeoff toward the lake, but because of the possibility of a tail wind after passing tree line, he chose to do a soft field takeoff in the other direction. The engine and airframe were examined by an inspector from the Federal Aviation Administration (FAA) and technical representatives from the engine and airframe manufacturers. The exam noted that the landing gear was in the down position and the flap actuator corresponded to flaps up (retracted) position. The constant speed, two-bladed propeller remained attached to the crankshaft. One blade was twisted and bent rearward beginning about 8 inches from the hub. The other blade had chordwise scratching with a portion of the blade tip broken off. The engine received thermal and impact damage; however, no preimpact abnormalities were noted with the engine or airframe. A review of aircraft maintenance records revealed the last annual inspection was conducted on November 21, 2014. The last weight and balance sheet was completed on June 18, 2013, with an airplane empty weight of 1,765 lbs. The maximum gross weight of the airplane is 2,500 lbs. Using the pilot's listed weight and 28 gallons of fuel on-board, the remaining useful load for the remaining three passengers and any cargo would be about 379 lbs. The automated weather reporting station located about 10 miles southeast of the accident site recorded wind from 210 degrees at 9 knots, gusting to 15 knots. 3T0's runway 7/25, is described as a turf/grass runway 3,000 ft long by 60 ft wide. Runway 7/25 is surrounded by trees on three sides, and a lake on the departure end of runway 7. The chart supplement notes: 40 ft and 80 ft trees north and south of runway 25's centerline. A review of the airplane's pilot operating handbook (POH) revealed that take-off performance charts did not have a correction factor for grass/turf runways. The POH was not required to have the correction factors. Injuries: 2 Serious, 2 Minor. 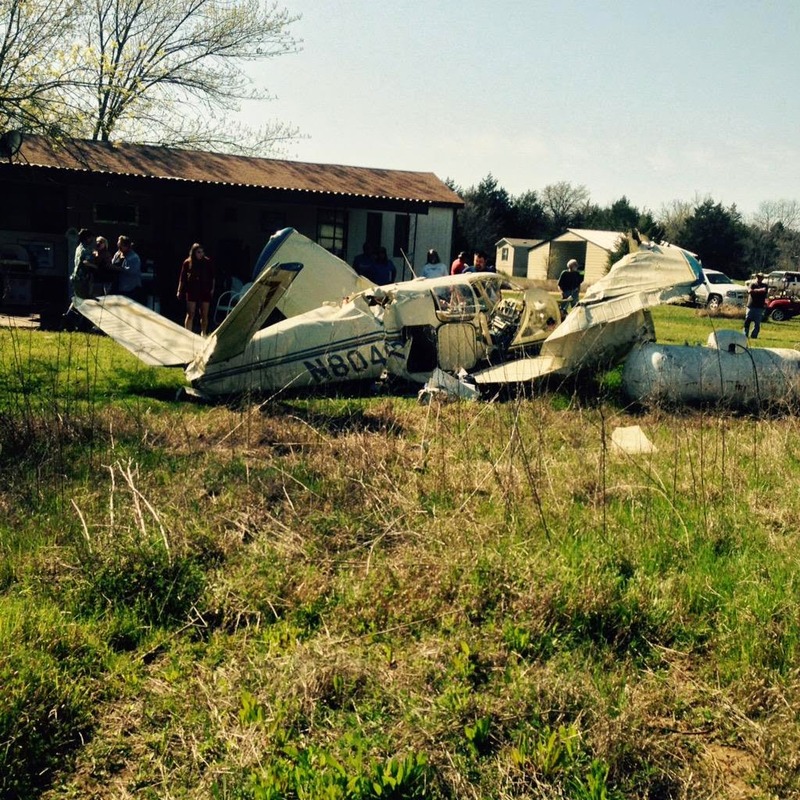 On March 29, 2015, about 1600 central daylight time, a Beech 35, single-engine airplane, N80462, was substantially damaged after impacting terrain during initial climb at Cedar Mills Airport (3T0), Gordonville, Texas. The pilot and one passenger were seriously injured, and two passengers sustained minor injuries. The airplane was registered to and operated by a private individual. Day visual meteorological conditions (VMC) prevailed at the time of the accident and a flight plan had not been filed for the 14 Code of Federal Regulations Part 91 personal flight which was destined for Tyler Pounds Regional Airport (TYR), Tyler, Texas. The pilot reported that during his soft field takeoff from the turf runway the airplane had lifted off at an indicated airspeed of 80 mph. As the airplane neared the departure end of the runway the pilot noticed the airplane was not climbing as expected, the indicated airspeed seemed unreliable, and the controls felt mushy and near stall speed. The airplane then impacted trees and the roof of an unoccupied home. The engine separated and fell inside the home which resulted in a structure fire that substantially damaged the home. The airplane impacted terrain about 50 feet from the burning home and came to rest upright after impacting two nearly full propane storage tanks. There was no release of propane and there was no postimpact fire at the location of the main wreckage. Several persons at another nearby home witness the impact and responded immediately to assist the four occupants to exit the wreckage. Four people in 1947 Bonanza, 3000' turf up sloping runway with tree's at the end....I'm glad everyone survived.